Provide comfort for the family of Jeanette Solinski with a meaningful gesture of sympathy. 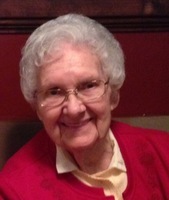 Jeanette M. Solinski, 92, of Corona and Green Valley, passed away on November 30, 2018. She was a devoted wife, aunt, and friend. She loved the city of Corona de Tucson and worked with loving dedication for the town as a board member and town historian. She was born in Chicago where she married her loving husband of 69 years, Leonard, who passed away in 2016. In 1986 they moved to Arizona. Jeanette was a special friend of the Sycamore Elementary School in Corona, where she volunteered by helping the children with their school work and listening to them talk about their daily lives. She loved the children and they adored her. She was also honored to be a member of the design committee for the Corona elementary and middle schools. Jeanette is survived by loving nieces and nephews and her loyal friends. A celebration of her life will be held on Monday, December 17, 2018 at 11:00 am at the Corona de Tucson Baptist church. To send flowers in memory of Jeanette M. Solinski (Romanowski), please visit our Heartfelt Sympathies Store. We encourage you to share your most beloved memories of Jeanette here, so that the family and other loved ones can always see it. You can upload cherished photographs, or share your favorite stories, and can even comment on those shared by others.